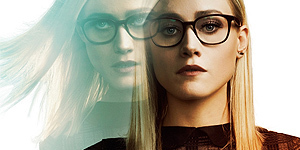 The gallery has been updated with screen captures from “The Magicians” episode 3×12 – Thee Fillorian Candidate and with episodes stills from episodes 3×09, 3×11, & 3×13. I can’t wait for the finale next week! 0001 x The Magicians > Season 3 > Episode Stills > 3×13 – Will You Play With Me? The gallery has been updated with screen captures from “The Magicians” episode 3×07 – Poached Eggs and with episodes from episode 3×09 – All That Josh.